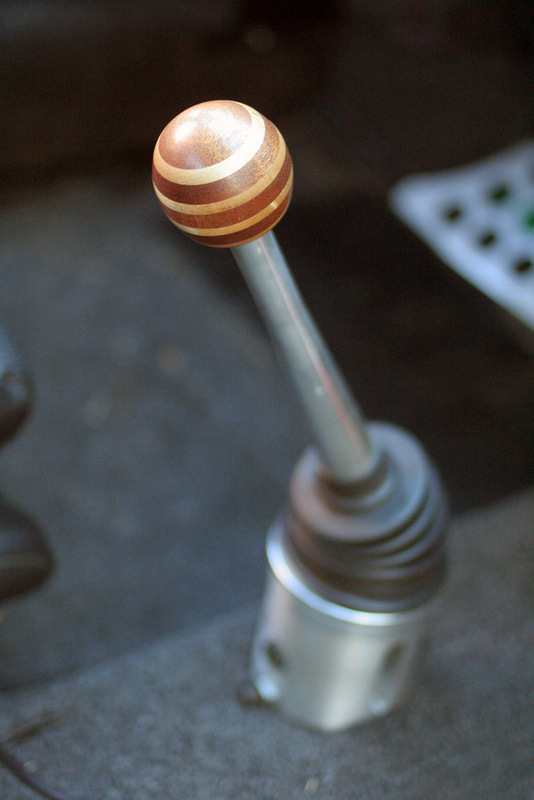 914World.com > Show Us Your Shift Knob! 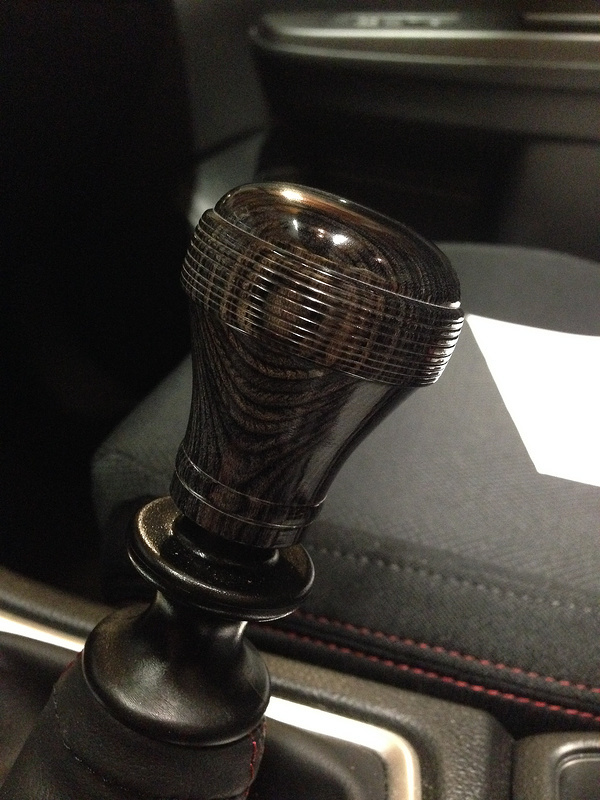 Full Version: Show Us Your Shift Knob! This is what I am using. Your vision is fine; just a different transmission than you. I should’ve got in on that group buy back in the day. These look better and better every time I see them. Yep. No regrets buying 3 when Zach offered them up. I've had several in my car over the years, and change them out as the mood hits. 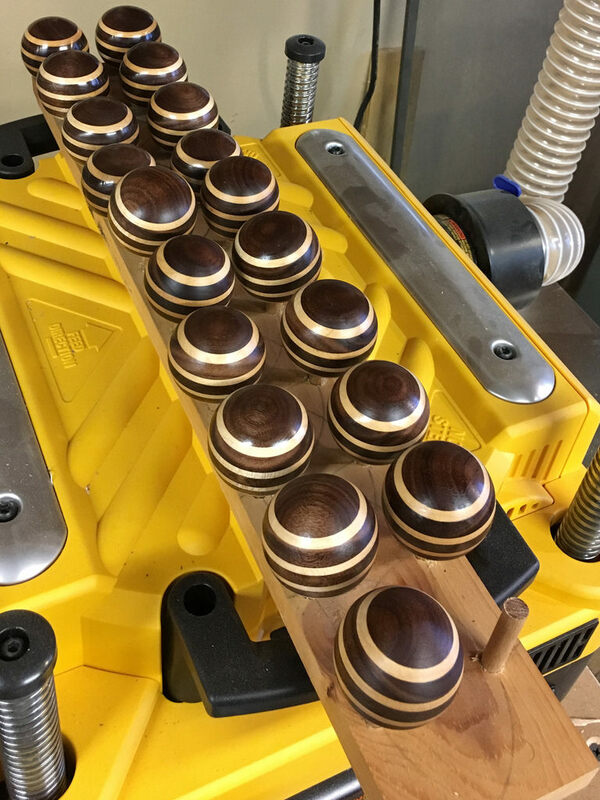 This was the first on of my 917 tribute knobs that I made. I don't use it any more, it sits on a shelf to remind me how far they have come over the years (I've made a couple hundred of them now...) This first one was literally made on a drill press using wood rasps before I bought and learned how to use my lathe. I made this mushroom cloud and had it on the car for a long time, and switch it in sometimes. I loved this one and would still be using it, but the material cracked in the sun. :-( This has been an issue with every type of resin pressed plywood/epoxy plywoods I've tried. This was made from some spaulted pecan from a storm damaged tree in my back yard. Someone at meet liked it enough they talked me into selling it to them tight off my shifter stalk. I keep a spare knob in my glove box, as I've inadvertently sold a couple knobs this way and shifting without a knob kinda blows. I wish I was better about photographing and archiving pics of my work. There have been some cool one offs that I wish I could look back on for inspiration. 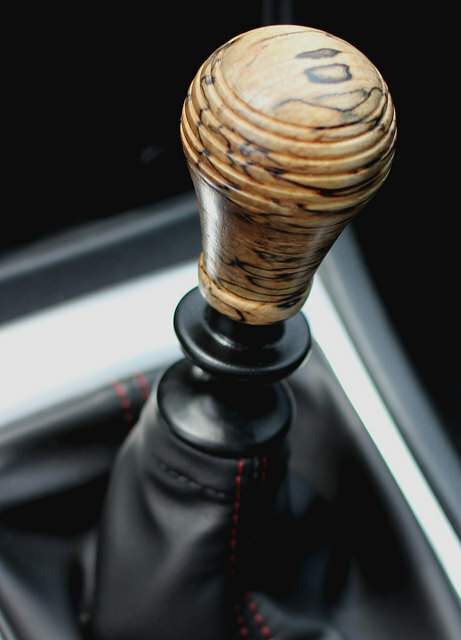 I've been really considering this vintage Ferrari style shift knob 'cause it has the correct dog leg pattern and its looks chunky. Just wish I could find it in white to match my white headlight surrounds and other white details. Actually I just checked the following link (again since several months) and they now offer a 5 speed dog leg TEARDROP knob... (5RUL model). And in various colors too. This one (Wevo) has been my fave and in-use about 4-5 years. I also have at least one OE, a Momo aluminum 'ball', and a billet aluminum OE-style. 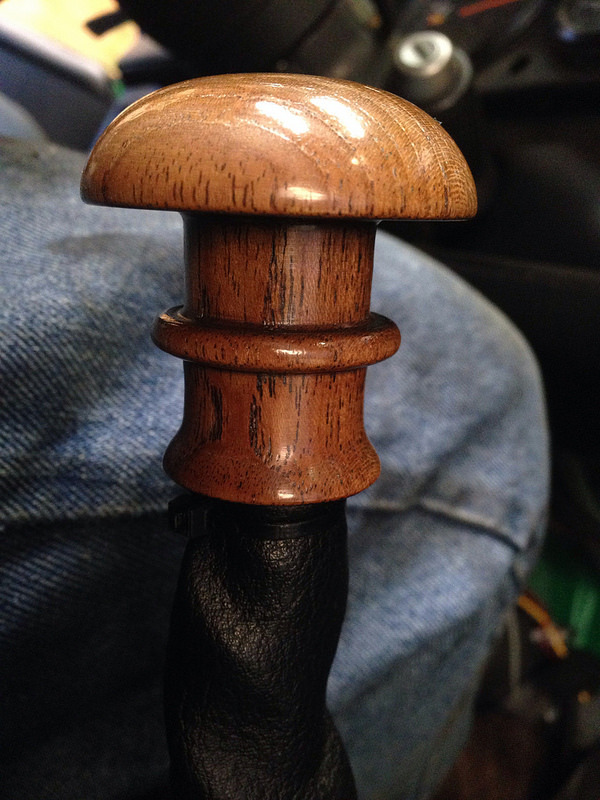 Wevo Knob and Wevo shifter. 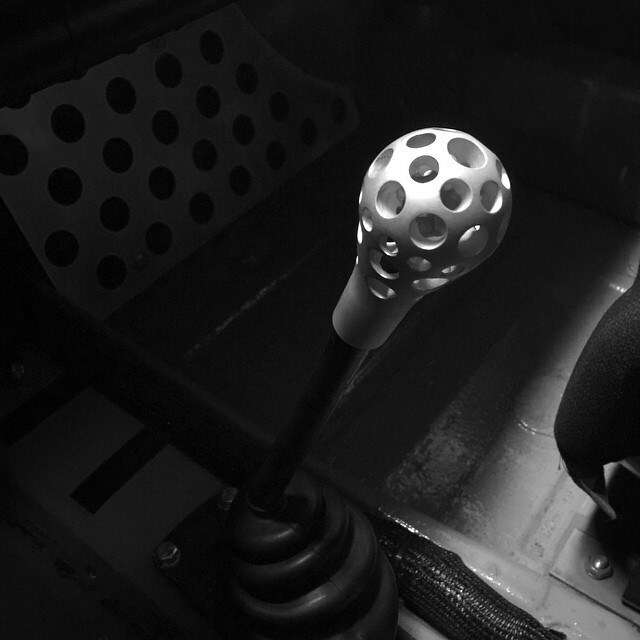 I think someone said this was an Ammco shift knob?